What are the Best Chinese restaurants in Columbus? 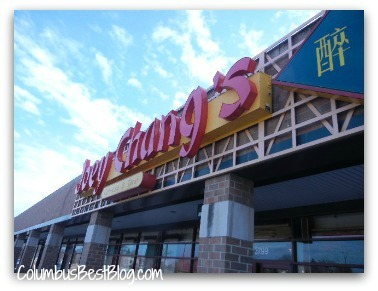 I am wondering what are the best Chinese restaurants in Columbus? Or I guess, I am asking what is your favorite Chinese restaurant? View Larger MapThe Chinese New Year starts this weekend, I believe. Sunday? So that would make Saturday night, the Chinese New Years Eve? I’d do a PollDaddy.com poll but I think there are just too many Chinese restaurants in Columbus (or any town) unless you knew where to start. The map at the top is a Google search for Columbus Chinese restaurant. All the red dots are matches for the search. It looks like the map has measles. I have NEVER been to a P.F. Chang’s China Bistro or a Pei Wei Asian Diner. Happy Chinese New Year, I believe “新年快樂” means Happy New Year. Likewise “恭喜發財” may mean “Congratulations and be prosperous” if I can trust Wikipedia. All I was trying to look up was when the Chinese New Year (or Spring Festival) was in 2013.